Two sisters share the surprising highs and cringeworthy lows of social media fame, when their most private thoughts become incredibly public in this fresh and funny debut novel. The once-close Sunday sisters have not done a bang-up job of keeping in touch. Cassie is consumed with trying to make her life work as a Manhattan wife and mom to twin toddlers, while her bighearted sister, Sid, lives an expat’s life of leisure in far-off Singapore. So Sid, who shuns social media, challenges Cassie to reconnect through old-fashioned letters. But first, one of Cassie’s infamous lapses in judgment comes back to bite her, and all of the letters wind up in the one place you’d never, ever want to see them: the Internet . . .
Lisa Beazley has worked in journalism and public relations for more than fifteen years. 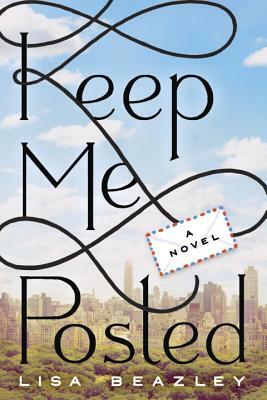 Keep Me Posted is her first novel.